Skye Gravestones | James & Isabella Reid. Dugald & Anna Maclachlan. James & Isabella Reid. Dugald & Anna Maclachlan. 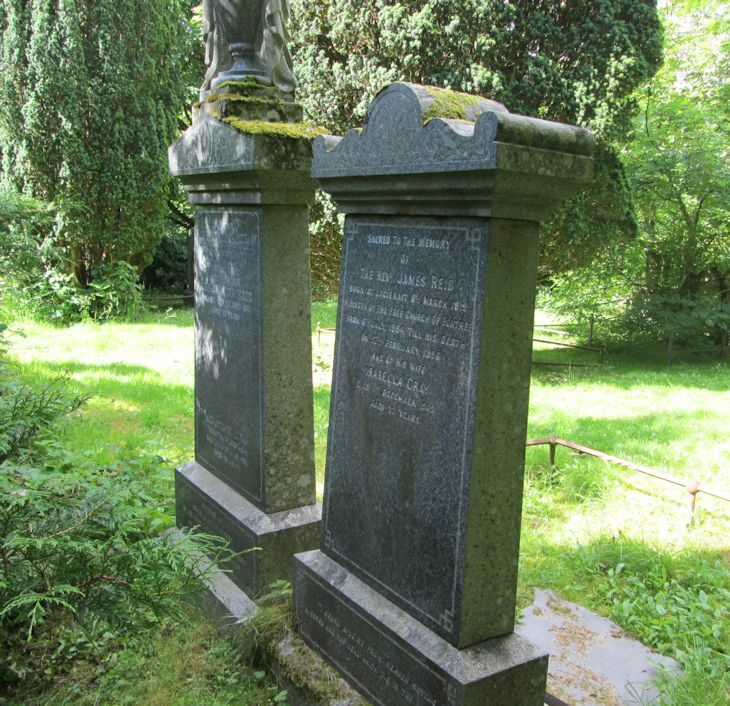 In memory of/DUGALD MACLACHLAN/banker and solicitor Portree/who died 5th June 1903/aged 60 years/and his wife/ANNA YOUNG REID/who died 28th September 1938/aged 80 years/ALASTAIR REID/solicitor, Dumfermline/who died 15th April 1956/aged 58 years. Erected by/friends and admirers/of his many disinterested services/on behalf of his countrymen. Sacred to the memory/of/The Revd JAMES REID/born at Logierait 6th March 1819/miniter of the Free Church of Portree/from 6th July 1854, till his death/on 12th February 1896/and of his wife/ISABELLA GRAY/died 1st December 1952/aged 72 years. "I heard a voice from heaven saying/blessed are the dead which died in the Lord."